How Congress Can Start Passing Laws Again! Excuse us for living, but some of us remember a CD from way back in 1988 by Michael Feinstein (No, he is not Lady Gaga’s grandfather!) titled, Isn’t It Romantic. Anyway, the CD included an equally great song, I Can Dream Can’t I. Wikipedia tells me that song came from a 1938 “flop” musical, Right This Way (way before I was born, and it ran only 15 performances), composed by Sammy Fain and Irving Kahal (who? But a nice rendition by Michael for your iPod!) Anyway, all this is an unnecessary rant to get “dreamy” about a serious political subject dear to my heart. It has “nothing and everything” to do with the political scene today and this election season 2012, both presidential and congressional. Plus, the subject is non-partisan and strikes a cord regarding the political discord of these times. I am talking about (finally!) the formation of public policy, or, put more simply, how we go about writing laws to address our nation’s problems. And so the word “dream” is apt because this discussion is about “what ought to be” or “should be” in a perfect world, as opposed to “what is possible” or “will be” in reality. In plain English, this means it ain’t going to happen! But “I Can Dream Can’t I” ? The premise here is that our legislative process, the Congress if you will, no longer works. Put aside for the moment, if you can, all the present rancor, discord, partisan bickering, and, thus, gridlock. Right now you can blame it on the Tea Party. The Tea Party is definitely a worthy scapegoat for the dysfunction of our times. However, a look back through any American history book will tell you that we have been fighting and compromising since 1776. It’s the American way! It makes you marvel at how we ever got this far so successfully as a nation. Our Constitution has served us well and still does. What is increasingly and alarmingly different today is our advanced technological and global environment. Many issues defy solution and progress by the “business as usual” approach of compromise and legislate. A higher level of expertise, both technical and legal, is needed to address the problems/the issues of our day. –From biotechnology to climate change/the environment/energy, a coherent foreign policy, terrorism and Homeland Security, education, immigration, cyber-space, abortion, marriage, to “bread and butter issues” of the economy such as jobs/manufacturing/trade/the deficit and national debt, plus healthcare, Social Security, Medicare, Medicaid, all the entitlement programs, to name a few! Now let’s dream! To provide the White House and the Congress with the kind of legislation necessary, a nonpartisan public policy institution is needed. We already have a National Defense University. 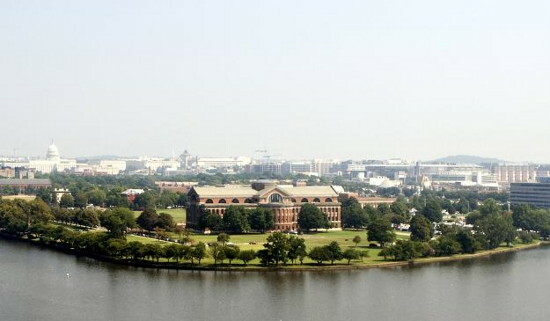 (The National War College is just one of its five sub-colleges.) Why not have a “National Public Policy University”? Experts on all sides of a given issue (politically, philosophically, technologically, and legally) would come together. They would define the problem, select a problem solving model/method (the academics like and need that! ), settle on various alternative solutions to the problem, and then, finally, recommend a public policy to the Congress, i.e., bills to vote into laws!!! How else will we ever get from point A to point B on any given problem/issue? We drift from one President and Congress to another on complex problems with a patchwork of legislation. Perhaps this worked in the past, but it does not seem to be working, serving us any longer. We need a coherent approach and stick to it. There would still be ample opportunity in the legislative process for compromise when recommendations get to the Congress. And, naturally, further legislation might be needed to “tweak” our course along the way or to drastically alter our approach should it not be working. Maybe we are ready to raise the bar to a higher level of thinking in the formation of public policy, i.e., how we go about writing the bills that become our laws. Only then can our ship of State make steady progress from point A to point B on the great issues of our time. “It ain’t going to happen,” you say? “I Can Dream Can’t I,” goes the song! ya know what Phil? It just might work! And work a lot better than the slow grind we have now…as you said-pne can dream…. I think we agree on something more than term limits. I just think that the pols of both parties would never give up enriching themselves for a logical, promising solution. “Raising the bar to a higher level of thinking” is indeed the key. (and term limits comes close but there are problems there to be discussed) As long as the next election is on the top of the priority list rather than the good of the country, we will continue to see good legislation die in congress or be changed beyond recognition. I like your idea and the possibilities that dream promises.